Official media development support by the Dutch government is administered through the ministry of foreign affairs. 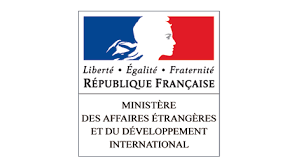 Media development support is funded primarily through the Human Rights Fund within the Ministry of Foreign Affairs of the Netherlands, but also via other ministry of foreign affairs programs and autonomously by Dutch embassies around the world. For example, “stability funds” were used to help rebuild community radio in the Central African Republic, and embassy funds to support media in South Sudan. Furthermore, some of the assistance identified as media support seeks to promote free expression and/or strengthen civil society more broadly and does not aim just to support news media organizations. A principal goal of the Ministry of Foreign Affairs of the Netherlands is to promote “freedom of expression, including internet freedom” through grants to organizations. Recently there has been a greater emphasis on fighting “internet censorship and the misuse of the internet to track down dissidents.” Certain projects, such as a number in the Ukraine, are specifically tied to furthering European Union agreements. The ministry says its highest priorities are promoting human rights, independent news media, and poverty reduction, but does not set explicit project aims, which are “demand-driven” as determined by grantee groups. The Ministry of Foreign Affairs of the Netherlands is the core funder of the RNW Media, formerly Radio Netherlands Worldwide (Radio Nederland Wereldomroep). Radio Netherlands Worldwide was launched as the state’s international radio broadcaster in 1947, but after sharp cuts in official funding in 2012, RNW ceased shortwave and satellite transmissions, and shifted its focus to promoting free expression. RNW Media now describes itself as “a media organisation for social change.” RNW media support projects focused mainly on people 15-30 years old, and on three principal core themes of democracy and good governance, sexual health and rights, and international justice, which align with current Dutch societal values and official international priorities. RNW operates principally in 18 countries “where freedom of expression and freedom of opinion are seriously restricted.” These are: Burundi, China, Cuba, DR Congo, Egypt, Ivory Coast, Libya Mexico, Morocco, Nigeria, Rwanda, Saudi Arabia, South Sudan, Syria, Uganda, Venezuela, Yemen, and Zimbabwe. RNW is seeking to expand its funding base through foundation and private grants–for example, Ford Foundation support for “Love Matters India”. The majority of Dutch Foreign Ministry funding is provided on a project basis, although some multi-year grants, such as that to Free Press Unlimited, are made. Dutch embassies around the world also fund a variety of media-related projects. The ministry also provides core support to RNW Media. It was awarded €56 million grant for a four-year period through 2016. Another source of media development support has been for the MATRA Program, which the Ministry of Foreign Affairs of the Netherlands launched by the in 1993 to support democratization in Central and Eastern Europe. From 2008-2014, nearly 5.2 million euros of MATRA core funding and “Small Embassy Projects” went to “information/media” themes. Other grants are made based on “demand-driven” proposals from media support, free expression, and other civil society groups. Free Press Unlimited, which is also Netherlands-based, is the largest recipient of official Ministry of Foreign Affairs of the Netherlands funding after RNW Media. It has a five-year grant that began in January 2016 for 6.4 million euros (approximately $7 million) annually for “building space for media in civil society” in 18 least developed and lower middle-income countries. FPU has also received funds for other projects, including to fight impunity for crimes against journalists, and 2 million euros (approximately $2.4 million) to help develop the StoryMaker app, which, the Dutch Foreign Ministry explains, “enables amateur and professional journalists to report current abuses in their country in a quick, safe and responsible way using their smartphones.” In 2014, FPU used a grant from the Human Rights Fund to support two Syrian news organizations, one based in Turkey and the other in Lebanon. FPU has also received funding directly from Dutch embassies for country projects, most notably in Sudan. The Institute for War and Peace Reporting (IWPR) was awarded 503,000 euro ($560,000) from the Ministry of Foreign Affairs of the Netherlands “Stabilization Fund” for a two-phase project in Ukraine during 2015-2017. Phase 1, completed in late 2015, “focused on journalism training for local reporters in Ukraine, covering responsible and ethical journalism and conflict-sensitive reporting, as well as safety & security skills,” according to a grant summary IWPR provided to CIMA. Phase 2 aims to build media and civil society capacities to monitor compliance with European Union Association Agreement anti-corruption Training for reporters, support for media talk shows, and media dissemination of research findings are included. Examples of MATRA Program supported projects include technical training for the independent Belarusian TV station Belsat TV, and integrating its website to enhance audience interactivity, and in Armenia, Azerbaijan, and Georgia, “training for young journalists in multimedia reporting and critical storytelling,” and establishing a multimedia journalism platform for the Southern Caucasus. Internews was been granted 493,000 euros ($552,000) from 2014-2016 for projects in Myanmar and Tunisia, to strengthen media and civil society capacities to counter hate speech and blasphemy, and in Vietnam to offer training and support to journalists, bloggers, and “citizen journalists” who are under threat. Article 19 received 100,000 euros ($112,000) in 2014-2015 to “undertake a comprehensive analysis of four proposed media laws and policies (in Kenya) to assess the extent to which they adhere to international and regional human rights standards and pass a constitutional muster.” The grant also covered advocacy with target policy makers and stakeholders. The Digital Defenders Partnership (DDP), managed by the Netherlands-based NGO, Hivos. DDP has also received official funding from the Czech Republic, Estonia, Latvia, Sweden, the United Kingdom, and the United States.